Juan Manuel Araque-Rueda was born in 1992 in Bucaramanga, Colombia. He started to study the Tiple with Gilberto Bedoya Hoyos and the violin with Iryna Litvin at the age of 10. With the tiple he won various important competitions in Colombia, e.g. 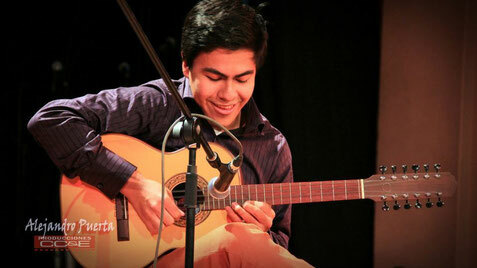 at the age of 13 in the category “adult” the „Campeón Nacional del Tiple“ and „Campeón Nacional del Requinto”. His sister always accompanied him, also on the tiple. He is founder of the Festival Nacional Infantil de Música Colombiana “Hormiga de Oro”. In 2016 he graduated from the Joseph Haydn Conservatory Eisenstadt with excellence, currently he is studying baroque violin at the Mozarteum University in Salzburg with great masters as Midori Seiler and Mayumi Hirasaki. Juan Manuel has been awarded by the Ministry of Culture in Bogotá for his artistic CV already four times, in 2006, 2012, 2015 and 2017. Each award granted him with an international scholarship. In the same year he was appointed “Person of the Year in Music” in Santander. He has recorded two CDs in the past years: „Juan Manuel Araque Rueda – Alma und Vida de un Requinto” 2007 und “Juan Manuel Araque Rueda – Escalando”, 2010. Since 2011 he is living in Austria, although touring as violinist and tiplist around the world, in countries like the United States, Japan, UK and Europe. In April 2012 he performed the concerto for Lute (version for Tiple) in D Major RV 93 by Antontion Vivaldi with the "Austrolatin Orchestra" in Vienna, Austria. In 2015 he completed an internship in chamber music and baroque violin at the Conservatorio Nino Rota Monopoli - Italy with Prof. Alessandro Tampieri. 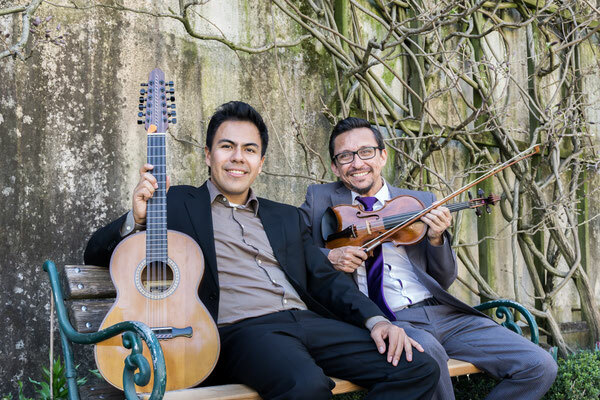 The duo is the result of two Colombian artists meeting in their home town of choice, the city of Salzburg - Austria, with a big enthusiasm and the intention of spreading the Colombian music in Europe. In 2018 they started to develop this project which mixes the different elements of the academic language and chamber music — in which they have been professionally trained during many years of study as violinists — along with the traditional and folkloric sounds they grew up with and had an important participation at national level. 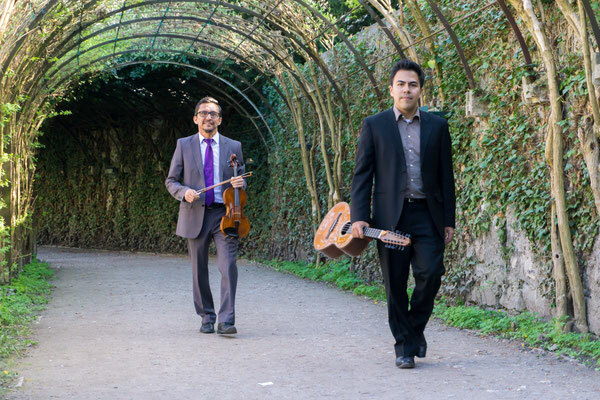 Juan Manuel Araque-Rueda, violinist and tiplist, "National Champion of Tiple and Requinto" and owner of other outstanding achievements, together with Nelson Diaz, violinist with many years of international concert experience, achieve an aesthetic and technical balance, making Colombian music more universal and understandable to the general public, conserving its joyful and latin character to the delight of all. They perform instrumental music from Colombia's different regions on the tiple and violin, with rhythms such as Bambuco, Danza, Guabina, Joropo, Torbellino, Pasillo, Currulao ... among others and of course a varied and cheerful repertoire of outstanding composers of the 20th century. I remember —and it still amazes me— that with only 12 years old and having won the most important junior competitions in Santander, his beloved Requinto already sounded with personality and a marvelous soundness, uncommon in a child his age. His talent and discipline announced a future full of achievements. How many things have happened in his life since that moment, and today, having the privilege of writing some notes for this fantastic CD, I think the Juan Manuel that I knew then was not only promise: the love, the total support and complicity of his family, have strengthened his discipline and the clarity of his life’s project in the art. 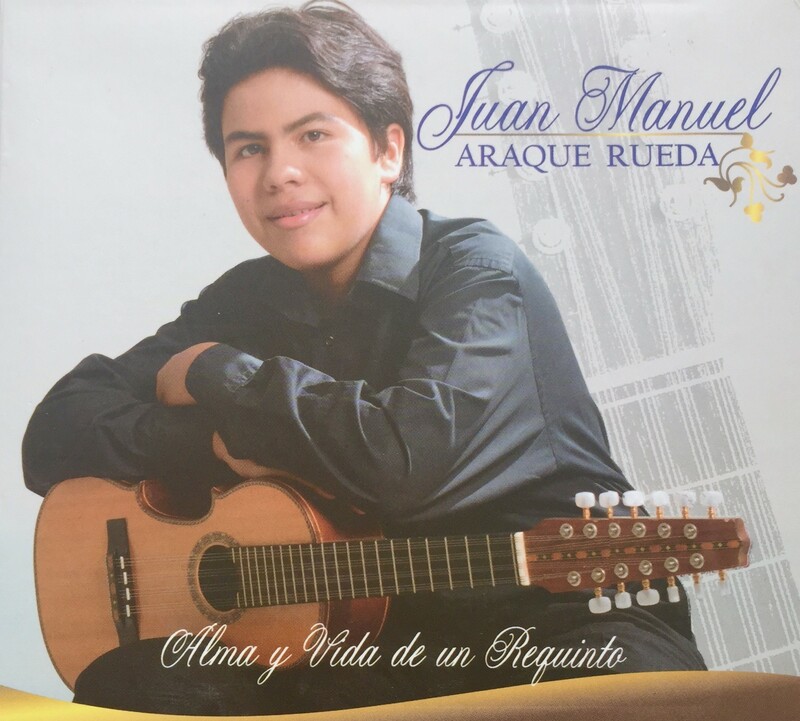 Today Juan Manuel has become probably in the most important tiple-requinto player of his generation: his playing personality and his virtuosity that seems to have no limits, he unfolds them with true spontaneity and forcefulness, always impregnated with warmth and a moving sensibility. 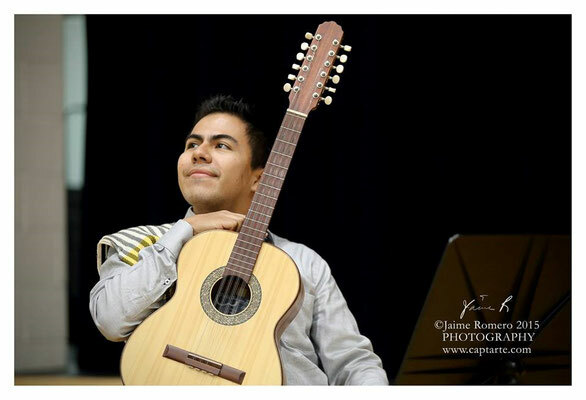 After making a careful hearing of this work, I can only recommend with real enthusiasm and conviction this interpretative proposal that, without a doubt, will become an expressive and technical referent of the execution of the tiple-requinto in Colombia. Emotion, national pride, optimism, I do feel noting that our beautiful colombian andean music continues its pilgrimage in the hands of a very young, talented and restless artist. Juan Manuel Araque Rueda is today paradigm of excellence, based on his love to ours, conscientious work and constant support from his parents. He combines his musical virtuosity with entrepreneurial skills, promoting the meeting of new performers of our music, thus securing its permanence. 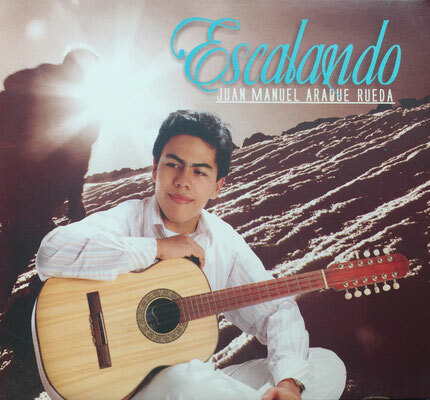 In Juan Manuel´s capacities and Tiple, Colombia has a beautiful hope.